To say that 2009 was a difficult year in the consumer packaged goods business is a tremendous understatement. Perhaps the most challenged component may have been new product introductions. There's a very low success rate in the best of times, so 2009, a year of recession and change, did not bode well for new product launches. Cash-strapped consumers were not as willing to take a chance on a new food or beverage product, and many were forced to trade in their brand favorites for private label substitutes. Sensing consumer sentiment correctly, it is no surprise that 93 percent of new products launched by the industry were brand extensions (often just tweaks to existing offerings), according to the 15th annual Pacesetters report from Chicago-based SymphonyIRI Group (which in March changed its name from Information Resources Inc., as it expands into innovative new value solutions for its clients). Pacesetters are those products launched between February of one year and January of the next that reach two milestones: 30 percent national distribution and retail sales of at least $7.5 million in year-one sales across food, drug and mass merchandise channels (excluding Wal-Mart). So for this year's report, these Pacesetters were launched between February 2008 and January 2009. Even in good times, less than one-quarter of products achieve this benchmark. Successful launches that do not complete a full year of sales between those dates are considered Rising Stars for the following year. In good times and bad, new product innovation is a key driver of CPG growth. Over the past 15 years, less than 3 percent of new products achieved mega-hit status, or more than $50 million in one-year sales. "Until a few years ago, a 'successful' launch was typically one that earned more than $50 million in first year revenue," explains Thom Blischok, president of global innovation and strategy at SymphonyIRI. "As CPG manufacturers and retailers become increasingly sophisticated in segmenting and targeting consumers, down to literally the household level, they are also executing much more focused product launches. In the future, it is very possible a successful launch may be one that earns significantly below the historic $50 million first-year revenue benchmark. As a result of successful targeting, though, there may be many more of these successes." Enhance the new product planning process by establishing a system to identify early indicators of emerging consumer trends, based on trend drivers (demographic, social, economic, lifestyle). Identify high-potential consumer markets, including niche and high-growth segments. Leverage consumer research and advanced analytics to understand drivers of consumer attitudes and behaviors as well as unmet and emerging needs. Conduct in-market tests prior to full roll-out. Develop targeted distribution and marketing strategies. Identify stores with a consumer base that most closely aligns with the new product consumer target. Reflect optimal store mix in distribution strategy. Highlight multiple product benefits in messaging across marketing vehicles. Develop a fully-integrated merchandising strategy, including multi-location displays and cross-merchandising tie-ins with other products and categories that have high purchase indices within the target consumer segment. Seek tie-ins with existing store platforms such as "health and wellness" and "sustainability." Identify course correction opportunities throughout the product launch. Continually monitor actual versus projected sales growth in aggregate, across consumer segments and by store. Identify and implement course correction in marketing, distribution and merchandising within the first several weeks of launch and at multiple checkpoints throughout the first year. In 2009, new food & beverage product activity dropped to 659 products compared to 859 in 2008. Despite consumers' conservative attitudes, year-one sales trends for 2009 New Product Pacesetters were quite similar to those spanning the last decade. For the year, about 80 percent of new product launches achieved less than $7.5 million in year one sales. But, from a dollar sales perspective, 2009 food and beverage introductions outperformed non-food products, and the top five new brands each achieved more than $80 million in year-one sales. History shows that food & beverage marketers frequently choose brand extension as a means of bringing new products to market, and this trend continued in 2009. After all, they bring fresh news and vitality to core brands with less investment and shorter lead times versus new brand innovation. New food brands usually outperform brand extensions, but in 2009 food and beverage extensions garnered substantially higher year-one sales, on average, versus new brand introductions. Marketers who have established strong brand equity are working to maintain relevance by "tweaking" existing lines. Campbell's Select Harvest soups, the top-selling food and beverage introduction of 2009, is an example of this type of product evolution. That's particularly important, since SymphonyIRI's 2009 Economic Update survey found 46 percent of consumers are trying fewer new products these days. To combat this reality, new product introductions are becoming increasingly targeted. Bud Light Lime, for instance, is a successful new launch with niche-market focus on those who like the taste of lime in their beer. Kellogg's FiberPlus bars make eating healthy enjoyable. A high-fiber snack with antioxidants, vitamin E and zinc, the bars help consumers achieve their wellness goals without sacrificing indulgence. 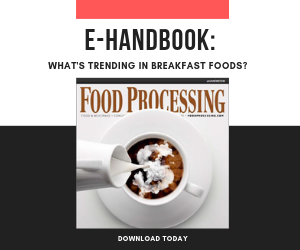 More than 80 percent of successful new food and beverage products over the past year bring added variety to the marketplace. In an industry that serves consumers with shrinking pantries, this is a startling trend, and it is not expected to change in the near future. It speaks volumes to the need for consumer-centric marketing – from new product innovation to package design to distribution/assortment to communication across marketing platforms. Key benefits centered on health and wellness, convenience and excitement. As technology evolves, CPG marketers have successfully brought these benefits to market across a variety of products. The year's most successful food and beverage innovations deftly capitalized on consumers' drive for at-home and from-home meal and snack solutions that provide a mixture of nutrition, convenience and indulgence. Products with wellness benefits dominated the most successful new product launches, and of those the themes were potency and efficacy. But today's consumer is driven by value. Consumers are planning carefully to get the most from their money. High fiber and whole grain product attributes continue to be in high demand, and CPG marketers are feverishly working to capitalize on this opportunity. In 2009, products touting grain claims accounted for 4 percent of CPG sales, and are increasing in number. Unit sales of products with grain claims climbed 3.4 percent for the year, and 22 percent of the Pacesetters tout high fiber or whole grain claims. In it's first year, Yoplait Fiber One yogurt garnered $26.6 million in sales despite a difficult economy. Across nearly one-third of 2009 Pacesetter products, CPG marketers have added nutrients to enhance the wellness profile of their products. For example, Ocean Spray CranEnergy is a juice drink enhanced with green tea extract and B vitamins, providing a healthful and natural energy boost to "get through a busy day." Beechnut Let's Grow line targets the youngest consumers with added nutrients to support healthy growth and development. Technology is paving the way for more powerful food & beverage solutions. CPG marketers are effectively harnessing these technologies and raising the bar on wellness. And while wellness has been on consumers' radar screens for several years, this past year saw wellness goals escalate to a new level. Nearly three-quarters of shoppers embark on shopping endeavors seeking components to make a nutritious meal. Products across categories are hitting the mark: Thomas' Better Start English muffins are a low-calorie, high-fiber breakfast option. Healthy Choice All Natural frozen entrees provide consumers with a "healthy in a hurry" lunch or dinner. And Nature's Pride bread crosses dayparts with natural snack/sandwich appeal. The drive for wellness is not expected to wane. CPG marketers displaying an intimate understanding of the wellness goals of their key consumer and target markets will play an integral role in driving the growth of this important industry segment. SymphonyIRI's 2010 Snacking Survey reveals 32 percent of consumers view snacks as an important part of a healthy eating plan. Dannon's Danimals Crush Cups are an on-the-go yogurt option targeting the youth markets. And Yoplait Delights provide a sweet treat in a controlled calorie portion. At-home cooking and eating is quite prevalent. In fact, 60 percent of consumers are creating and serving simple meals at home with increased frequency, and nearly all will continue to do so throughout 2010. Consumers do not want to compromise, though. Products such as Campbell's Select Harvest soup and Arnold Select Sandwich Thins make creating high-quality and health-wise meals quick and easy. Meanwhile, lines such as Bush's Best Grillin' Beans and Dreyer's Edy's Fun Flavors ensure that day-to-day dining is anything but boring. Convenience has been at the forefront of CPG new product development for many years. In 2009, 33 percent of New Product Pacesetters touted convenience-related features, compared with 25 percent in 2008. Ore-Ida Steam n Mash is making a splash in an established category: frozen side dishes. To a large degree, though, convenience has become an expected yet secondary attribute across food & beverage products. Nabisco Munch Packs make from-home and on-the-go eating a breeze, and at 100 calories per pack, they are indulgent but don't completely derail the diet. Health-conscious eaters need not compromise convenience any more. An array of products -- including Weight Watchers Smart Ones Morning Express and Birds Eye Steamfresh Meals -- provide a well-balanced meal in a very short time. Healthy comes in bite-size, too. Nabisco Newton Fruit Crisps are a 100-calorie snack made with real fruit. Gerber Graduate Yogurt Melts get toddlers off to a good start with 99 percent real yogurt and fruit combined with live and active cultures, and it's easy to chew and swallow. Targeted innovation is becoming increasingly commonplace in CPG today; across food & beverage and non-foods segments of the industry, 80 percent of 2009 New Product Pacesetters bring added variety into the marketplace. Strong growth continues in taste and variety innovation. The snack/granola bar category is a big beneficiary of efforts to bring excitement to health-conscious consumers. Top-10 performer Kellogg's FiberPlus is one example of healthy-but-fun. Atkins Day Break is another 2009 success story, providing a protein-packed start to the day for consumers focused on losing weight. Juice categories are also getting a variety boost thanks to new ingredients and technologies. Refrigerated Tropicana Pure Valencia is 100 percent juice with unique flavor combinations, including Raspberry Acai and Pomegranate Blueberry. Capri Sun Sunrise juices come in three flavors, each boasting 100 percent of daily vitamin C and "a good source of calcium" in a convenient, aseptic pouch. Taste is also important across indulgent and healthier products. M&M Premiums come in "five fabulous flavors" including triple chocolate, raspberry almond and mint chocolate. Meanwhile, Pepperidge Farms Baked Naturals offer indulgence for the health-conscious, with a savory treat. Flavor combinations are also making eating more fun. Wrigley's Extra Fruit Sensations is a sugarless gum that comes in a variety of exciting fruit flavors, including island cooler and mango smoothie. Food & beverage innovation was a bit lighter than in the past few years, but a majority of the most active categories maintained a fairly consistent pace. A notable decline, however, is seen in two categories: snack/granola bars and cold cereal. Each year since 2002, these categories have come to market with more than 10 New Product Pacesetter products. This year, numbers are down sharply. At the other end of the spectrum are categories hitting it big with more new products versus historical trends. Frozen dinners/entrees and crackers are among these categories, key categories in consumers' at-home and away-from-home food rituals. From quick and easy meal solutions (Stouffer's Easy Express and Banquet's Select Recipes) to fun lunch-box treats (Pringle's Stix and Kraft Handi Snacks Dunk'ems), consumers are increasingly turning to CPG marketers to make mealtime simpler and more enjoyable. Throughout 2010 and beyond, indications are that a majority of consumers will hold tight to recession-driven ritual changes, including at-home and from-home behaviors. Innovation in key categories will provide opportunity for growth despite economic uncertainty. One opportunity is in the convenience channel, a known destination for spontaneous and optional CPG purchases. In 2009, top-selling new products in the channel underscored consumers' quest for exciting and semi-targeted indulgences. Consumers seeking a light and refreshing spin on beer have new options in Bud Light Lime and MGD 64. Functional beverages, such as CytoSportMuscle Milk, and energy drinks, such as Rockstar Roasted and Venom Energy, are doing well in the channel. Congratulations to the 2009 Pacesetters, and best of luck to all new products in 2010.